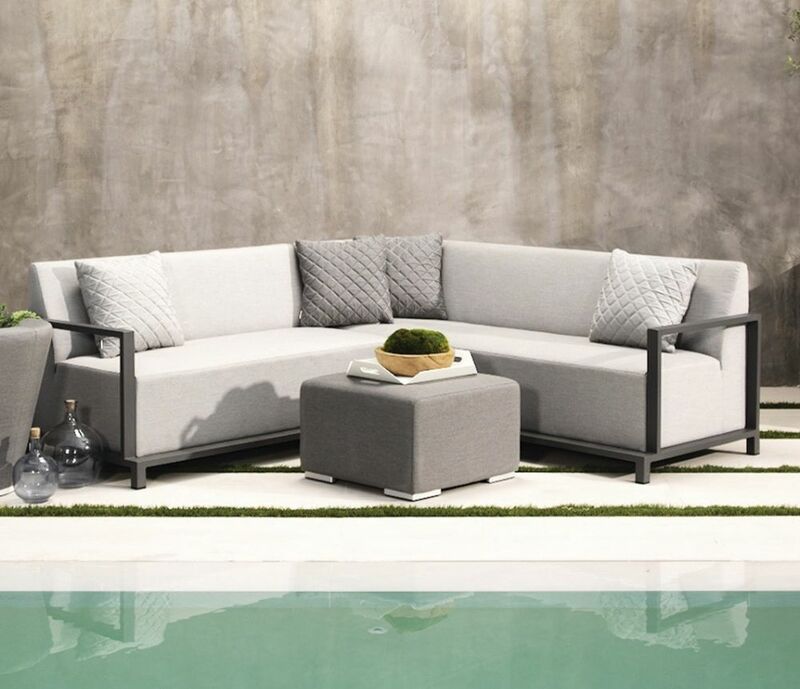 At IASO, we offer a wide range of exterior furniture to meet our customers’ needs. Our modular sofas, coffee tables, puffs and armchairs are defined by their geometric lines, peaceful colours and mixture of materials in accordance with the landscape surrounding the home to be equipped. We offer an ideal space to relax, with accessories facing the sun. The product’s elegance and durability combine with discretion and harmony, within the architecture and surroundings of dream private properties. Durability and the high-performance textiles we use, visible in the design of our parasols and canopies, have led to our company equipping the gardens and terraces of some of the most exclusive of residences. Our project brings together a selection of the best products. All our collections have been created with the capacity to blend completely into the landscape, whilst also offering greater comfort and a touch of warmth. The cushions filled with polyurethane foam rubber and upholstered with resistant nautical cloth, promote your comfort. Moreover, the shapes of the finishes soften the straight lines of the anodised or lacquered aluminium, bringing a lighter air to the collection. With our products, we provide your space with many qualities: serenity, balance, silence, simplicity, purity, light, beauty... The opportunity to escape from daily stress comes with a meditated sobriety of magical simplicity. Our bioclimatic pergolas of aluminium slats are your ideal solution for extending an interior space into a contemporary design terrace, letting you to enjoy the sun to just the right degree depending on the weather conditions. The resistance offered by this pergola makes it a good resource against harsh weather conditions, whether rain, wind or snow. As well as providing benefits in terms of functionality, our pergolas come with the cleanest design in the sector, as well as great flexibility of shapes and dimensions. With a minimum number of joints between parts, you can enjoy an elegant design of straight lines, with all fixing and coupling elements out of sight. The bioclimatic pergola creates a new, attractive and functional exterior space that provides extra privacy and comfort.